In our racing world we tend to think of ourselves as the elite corps. 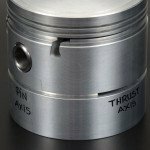 But in pistons and more particularly piston ring design, it is not our racing brains that are the driving force but those of the Original Equipment Manufacturers. It would be a glum glimpse of the US racing industry if nothing changed. But it has and nothing could be more illustrative of change than ring development. In fact, if we’re not careful our tow vehicles will operate with 1 x 1 x 2mm ring packs before our race cars. And it’s not just skinny rings that’s been pioneered by the OEMs, the enduring cast iron top and second rings have been replaced by stronger and lighter steel types. Furthermore, thermal face coatings are being applied to top rings by high-velocity oxygen-fueled spray guns at supersonic speed. The force of the collision causes the face coating to become embedded in the rings. What are they seeking? Well, with regard to the thermal face coating, they are pursuing bond-integrity. Second, they are also constantly looking for improvements in overall strength and toughness of the top ring. And third they seek to lower the ring’s coefficient of friction; that is the ratio between the force necessary to move one surface over another and the pressure between the two surfaces. Do many of us know what’s going on? One-millimeter steel top rings made their debut in 2014. 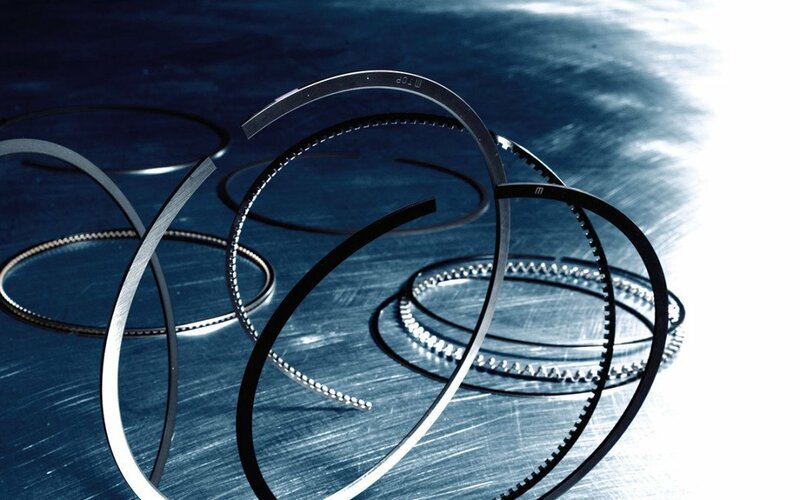 Richards says, “The OEMs wanted steel rings and we created them from 9254. 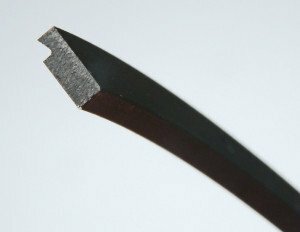 This is a high alloy chrome silicon material, which we knew to be stronger than cast iron—by about 35 percent. 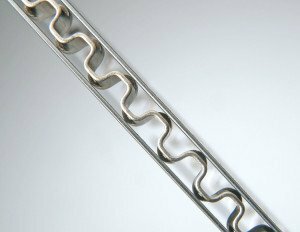 It’s also lighter and because its tensile strength withstands heat better, we were certain its fatigue-resistance would improve. It also operates with reduced friction or drag because the radial wall is much narrower on a steel ring.” Napier-style second rings are also produced in 9254, which run uncoated on the cylinder wall without scuffing. How about our position—as race engine builders are we resistant to these diminished dimensions? 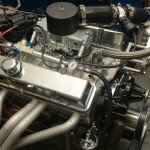 “Engine builders tend to use 1/16 x 1/16 x 3/16th but more commonly 1.5 x 1.5 x 3mm or .043in x 043in x 3mm, which is popular in high-performance 4.500in to 4.630in big-block engines. But there is no downside to running smaller ring packs,” explains Richards. “They are more conformable than their predecessors. 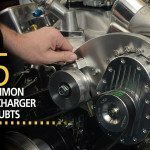 They cause less drag which translates to more horsepower and better oil control.” He went on to mention turbocharged LS motors generating so much power that block distortion became a concern, yet the conformability of the small rings demonstrated the best prospects for sealing. More consequentially for the OEMs, scuffing represents threats over a broad specter. Let’s say we’re in Alaska, for example, where an engine could be fired up and accelerated hard in negative 60-degree conditions. MAHLE, who operate over twenty dynamometers endlessly testing, recreated those conditions and developed a flash coating which they apply to some OE second rings, primarily to resist start-up scuffing in extremely cold temperatures. A 20-degree ear angle promotes better ring seal at the back of the oil ring groove. Chrome-plated rails complete the oil ring package. In the past MAHLE Motorsport’s ring pack combination for the Saturday night racer would have been 1.5 x 1.5 x 3mm. Today, their combination would update to 1 x 1 x 2mm. 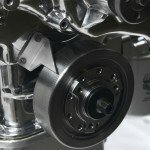 “We’re in full production of pistons and rings for LS Chevrolet performance engines,” says Richards, “which use similar materials to those used on Dirt Late Models. They come standard with the HV385 thermal face coating, which is used on nitro engines—it works for everybody and because the base coating hasn’t changed the cylinder hone preparation remains the same.” This coating, incidentally, is also available on 1.5mm top rings. Returning to the topic of skinny rings for a moment, this manufacturer’s current production of 1 x 1 x 2mm ring packs is substantial; they produce them for OEMs every day. Indeed so prolific is their production they are shelf-stock items and available not only to the performance aftermarket but also to other piston manufacturers as well as other ring makers. Says Tod Richards, “Because of the volume, we can produce a steel ring cheaper than a cast iron ring.” Steel rings currently available are as follows: 1/16th, 1.5mm, 1.2mm, 043in, and 1mm. Times are evolving and for MAHLE, the German firm with substantial production and research and development plants in Michigan and North Carolina, they have two purposes to fulfill in quality ring production and development: sealing the engine in compression and controlling the oil. And for racers there’s always been a perennial calling—the promise of winning, always trying to raise our game. Doubtless, no different in piston ring development. Great information from a state-of-the art company! It is interesting and encouraging to see the OEMs pushing the technology envelope due to emissions and gasoline mileage legislation. Motorsports has finally benefited from and maybe even helped in the efforts to produce more efficiency from the same engine package! Thanks for the article, well written! Muy buen comentario, es importante q una firma como mahle esté en permanente desarrollo, y así poder utilizar sus experiencias traducidas en este caso en un buen sellado de los aros, lastima q en argentina no disponemos de estos aros. 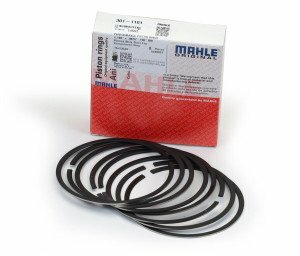 Very good article, it is important that a firm like Mahle is in constant development, to use their expertise, in this case, a good seal of the rings. Unfortunately, in Argentina we do not have these rings.